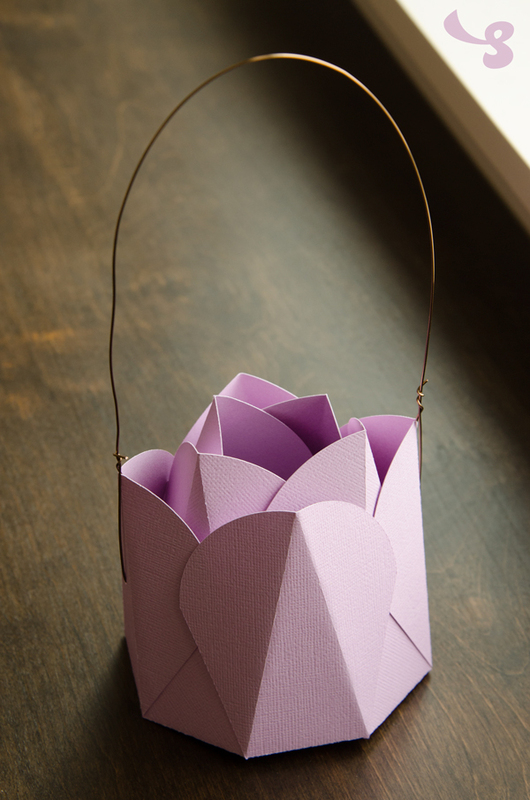 Whip up this pretty bag in a snap. It cuts out of one piece of 12x12" paper and only needs four dots of adhesive. 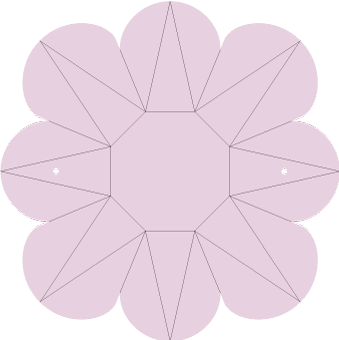 It could also pass for a rosebud (in red, yellow, pink, white, etc). 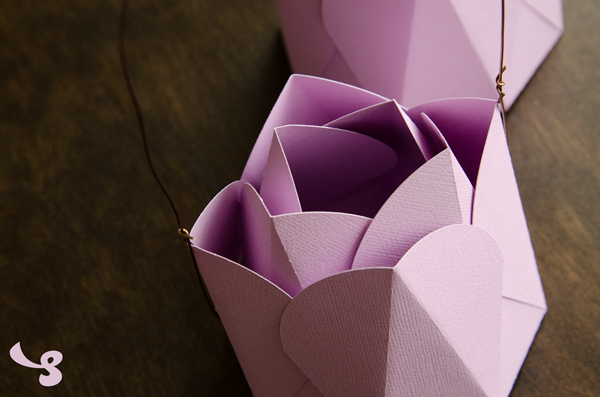 Simply fold the petals in, crease them, add the four dots of adhesive and the wire, and voila! Like the Freebie? Check out the new Wildflower Saloon SVG Kit!